There was no way I could do a series about comics and not head to Japan. For some Japan is comic books in a true art form and engrained in culture unlike anywhere else in the world. Where many and most societies look at the art form as a child’s funny book, in Japan the books are graphic art presentations of literary art forms for all ages with the books being anything from childlike humor to corporate room cutthroat business. If it happens in society it can happen in comics, but kicked up to a sensational level, just as you would find in the best novels on the market. Many of you have heard of the word Manga, but do you know what it means? Hokusai was an artist during late 18th and early 19th century Japan with the use of would block carvings to use for printing, coined the term during one of his many name changes. He changed his name as he changed his style. In 1811 he began what would be known as the Hokusai Manga, with manga meaning “playful sketches” to describe his humorous images. The forms were created with simple lines and made for increased production. This new form brought him even more fame and a great many students. 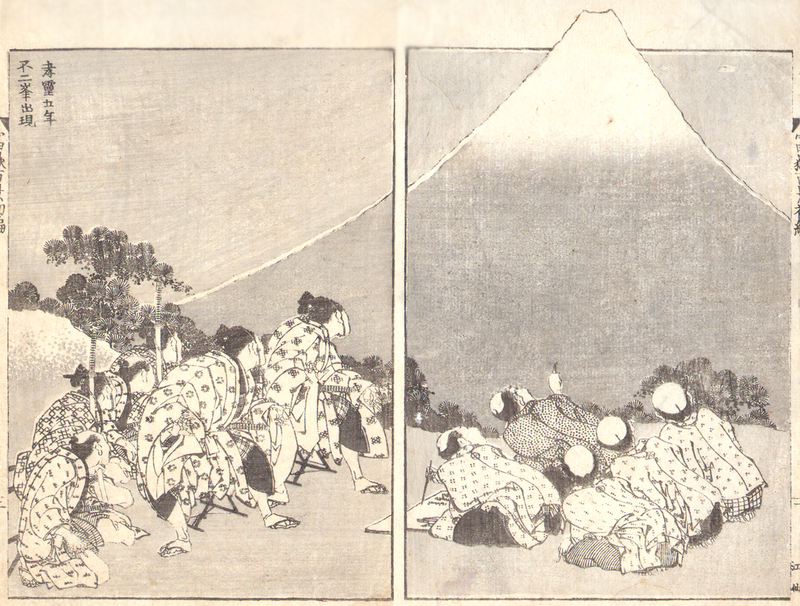 The most famous of his Manga work would be his 36 Views of Mt. Fuji. As you look at the art below, think of how this was first cut into a wood book in order to be used to make prints. This was not the first instance of what might be called comic books for Japan. In the mid 18th Century you would find what were called Kibyoshi or yellow books. These were satirizing of politicians and society in general. They were eventually banned and the edge taken off of the wit. By the 20th Century a new art form was beginning to take shape. Yasuji (1876-1955, maybe), his real first name, is considered by many as one of, if not the father of modern Manga due to his influence on those who came later.3 His early career was influenced by Australia artist and cartoonist, Frank Arthur Nankivell4, who would leave Japan for the US and fame in his own right working for the first successful American humor magazine, Puck5. 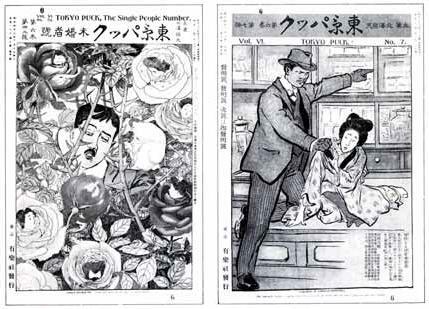 Kitazawa created the satirical magazine Tokyo Puck. 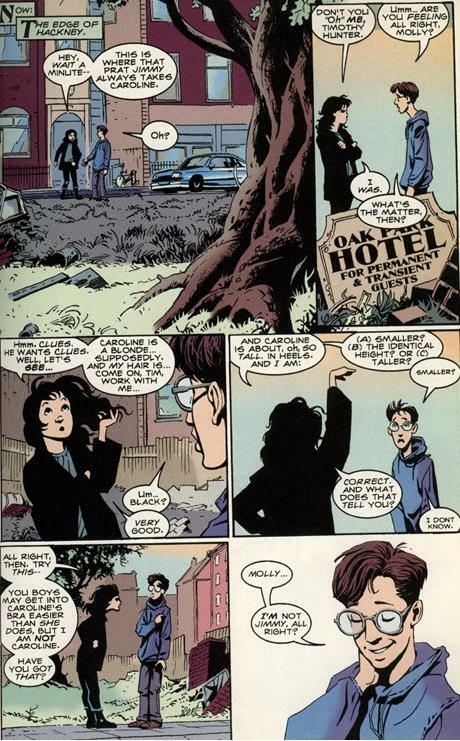 You can see the influence Nankivell had in the name. The artwork here, especially in the panel on the right is beautiful. I might at some point devote an article per creator some day. Following Kitazawa we have another “father” of Manga. One that may be closer to what the West knows of as Manga. Osamu Tezuka (1928-1989) was a cartoonist, animator and more. 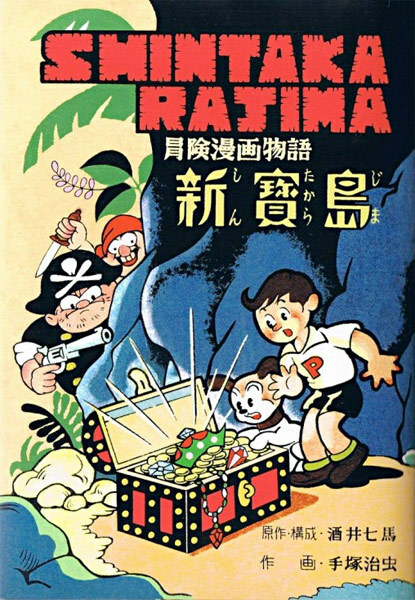 When you think of Tezuka, think Japan’s Walt Disney6. That literally is what people have called him, and rightfully so. All I really need to say is Astro Boy. Inspite of the military, he graduated and went on to medical school, but didn’t give up Manga. His first published work was The Diary of Ma-chan (1946). But then it happened. 1947 and we see New Treasure Island8 sell over 600,000 copies. Think about that. Just after WWII, devastated, and along comes something to give the people excitement. 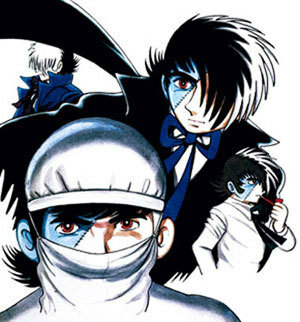 Tezuka introduces a cinematic story telling style of Manga that is what we know of today. Then it really happened. 1952 and a minor character in his Ambassador Atom series was given his own series due to young fans love of him. 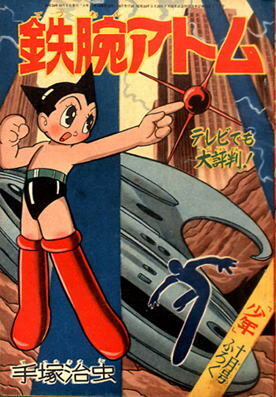 Astro Boy9 ran from 1952-1968. It’s doubtful many people realize what the book is about. I mean as far as those in the west. Prejudice. The rights of robots, now a sentient class, and how they are treated. 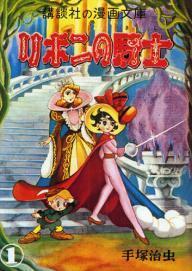 Although Astro Boy may be his most famous work, one work I was very interested in was Princess Knight10 (1953-1956) and its various sequels. Why? The book is recognized as perhaps the first fully realized Manga for girls, as in theme and starring, although not the actual first one. But it was the first to really make an impact on society. Truthfully, I would love to get my hands on these stories. Even more than I would the original Astro Boy. Eventually, Tezuka turned to animation and developed the first weekly animated show in Japan, Astro Boy. All financed by him in a studio built next to his home. Tezuka lost his animation studio and his rights to Astro Boy. Those with the company didn’t like scraping by and thought others could do better. Years later the company closed. After it did, oddly offers came to Tezuka. And a rebirth began for him. in Blackjack11. Now you may understand why some call Tezuka the father of, the god of Manga as well as the godfather of anime. Now to someone working these days and thus a little shorter in biography. 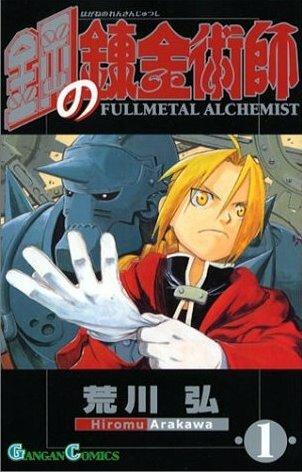 Hiromu Arakawa is a manga artist responsible for what has now become a classic, Fullmetal Alchemist. As the daughter of a dairy and potato farmer, Arakawa dreamt of life other than cows. But she agreed upon graduation from high school to stay and help with the farm for seven years. Seven years later, Tokyo. She eventually became the assistant of Hiroyuk i Etō of Mahōjin Guru Guru13. Her first paid solo professional work was the award winning Stray Dog in 1999. She’s had several hits, but Fullmetal Alchemist14 is the one most noted for and the last I could find she is working on is a non-fantasy manga called Silver Spoon15. 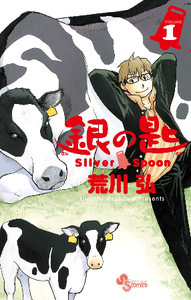 Manga is usually in the vein of fantasy, at least these days I suppose, so there was so hesitant acceptance of Silver Spoon but now it’s another hit. And that is why she’s included today. That stepping out, taking a chance, and changing the expectations of what manga can be. Go back to Ireland by clicking the letter below or the link. Ireland from Paddy to Ennis, this country has it all. All links open in this page for the convenience of screen readers of the blind and the visually impaired. If you are participating in the challenge, if you will put a link to your post for today in a comment below I will make sure to visit you and my readers can too. There are so many out there I know I am missing some of my friends. I’ll keep putting this message in each day just in case. Denmark. Never thought about comics from there before. But now I know. Several for you to read about today. From those who gave comics a rebirth in the country in the 1970s to the more recent crop of creators, I give you a taste of them all today. 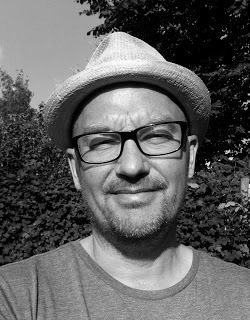 Peter Madsen was born in 1958 and is partly responsible for the rebirth of the comic book industry in Denmark. He is primarily known for his work on the albums of the comic Valhalla. Madsen was not alone in the new wave of comics Denmark in the 1970s. He had help from editor Henning Kure and fellow cartoonist Rune T. Kidde. 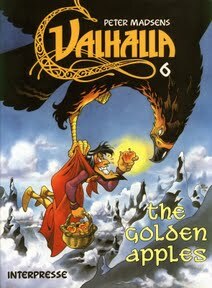 Valhalla is so popular, the books were turned into an animated film which Madsen do-directed. But Madsen would not have been involved with Valhalla and who knows where he might have ended up if not for, editor and writer Henning Kure. 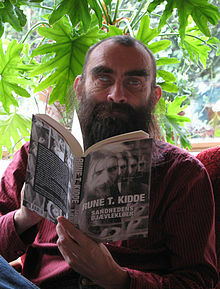 Henning Kure–Here is the translation of his wikipedia page. 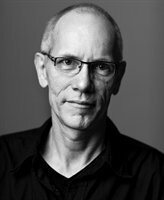 (born 11 December 1953 in Hoptrup) is a Danish comics creator, writer, editor and mythologist. 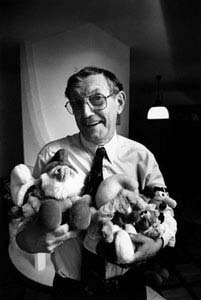 Worked as editor for Inter Press in 1974-1988, where he greatly influenced the development of comics in Denmark. From 1995-2009 he was manuscript editor at Egmont producing series for Disney’s Donald Duck Jumbo books, which he himself has supplied scripts. Initiator and one of the driving forces behind Valhalla comic, which he has both worked as an editor and writer. The seventh volume as lead author. Kure also helped to translate the series into an animated feature films. Kures children’s book Troll story also appeared as a picture book in collaboration with Rune T. Kidde and drafter of Valhalla series, Peter Madsen. The TV series Trol Therein is based on the universe and characters from his Troll story. 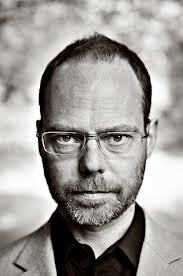 Kure also work as a story-doctor for several Danish writers, including Jussi Adler-Olsen. As a mythologist and self-taught Norse philologist, Kure has researched and developed several new interpretations of Norse mythology, which include described in scientific articles and in the academic paper In the beginning was the scream. Conceptual thought in the Old Norse myth of creation. Rune Torstein Kidde was born in 1957 and of all the creators today he was perhaps the most maddeningly creative one, with a sad twist for an artist. He’s been mentioned above in the previous two creators’ entries. I will give some of his other works. Part of what I found interesting with Kidde was his editing. He edited The Phantom and Beetle Bailey. 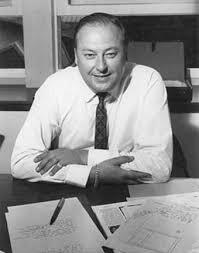 He also worked with Mort Walker as well as Will Eisner, of course. Walker is an of course because of Beetle Bailey. I mentioned a sad twist to Kidde’s career. He lost his eyesight in 1990. You would think he might have slowed down. Through instruction to friends who were artists he kept working in illustrating, but even greater was his work in radio for children’s programming as well as writing books of poetry, prose, biographies and family histories. Also he was an accomplished folk singer and musician and even had a role as an actor. He passed away in 2013. Peter Snejbjerg Nielsen was born in 1983 and is a freelance artist who currently resides in Copenhagen, Denmark. He studied at Kolding Kunsthåndværkerskole, which translates to Kolding School of Design, located in Kolding, Denmark. 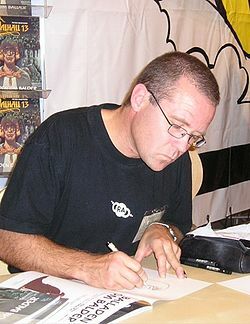 His career began in 1986 with Rune Fleischer, writer and artist. What some of us may know him from are things like Hellblazer with writer Garth Ennis and The Books of Magic, all at Vertigo Comics. Also Animal Man, Starman and Adventure Comics at DC Comics. You may notice how Nielsen uses the style of drawing in comics called ligne claire or clear line that I have mentioned before pioneered by Hergé of Belgium. It’s not so much the style but there is the lack of hatching. 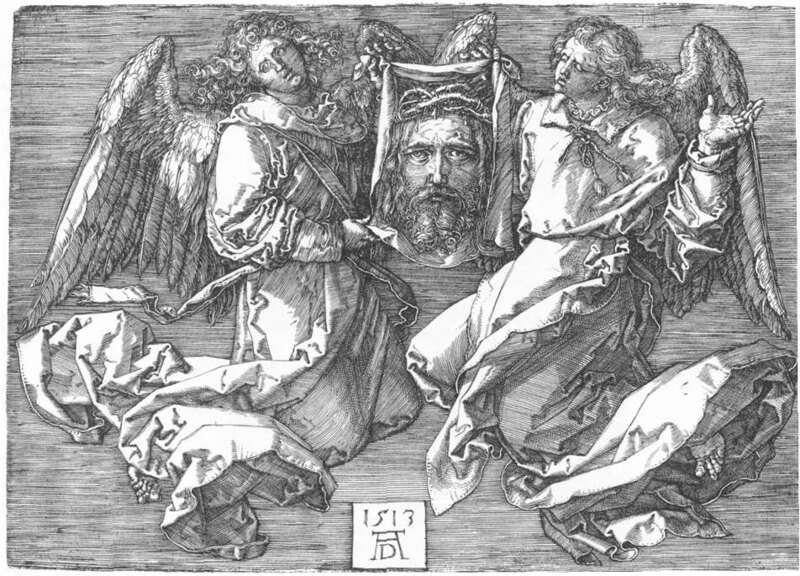 Many artists have gone the way of a more painting feel to their works which would do away with the hatching technique. There is a certain fluid style and feel to Nielsen’s work that I do like. But when in something like Batman, I do like the hatching style to give a grittier feel. Teddy Kristiansen is an Eisner Award winning painter/artist most known here in the United States for his work on The Sandman Midnight Theatre by Neil Gaiman, as well as his award winning Superman graphic novel with writer Steve Seagle, It’s A Bird through DC/Vertigo. He has also done work for Dark Horse on Grendel Tales and did an English translation of The Red Diary through Image Comics. I like the contrasting styles we see between Nielsen and Kristiansen. With the artists from Argentina, with their being so close and even teacher and student you have similarities. Here you have two very different approaches. Next we have the letter E. Who will they be? Where will they be from? I have no idea at this moment. Click below for Croatia. 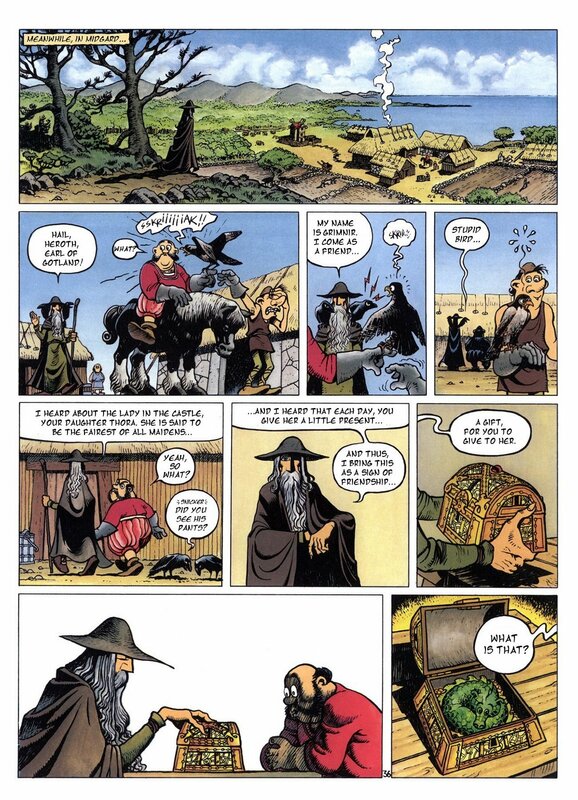 Or you can just clink this title-Croatia brings us Chess and Comics. Who knew that first one? 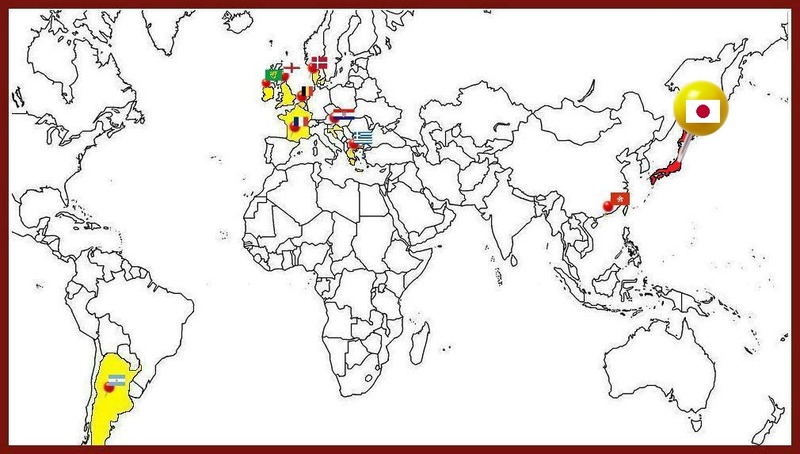 Let’s connect in the following places. 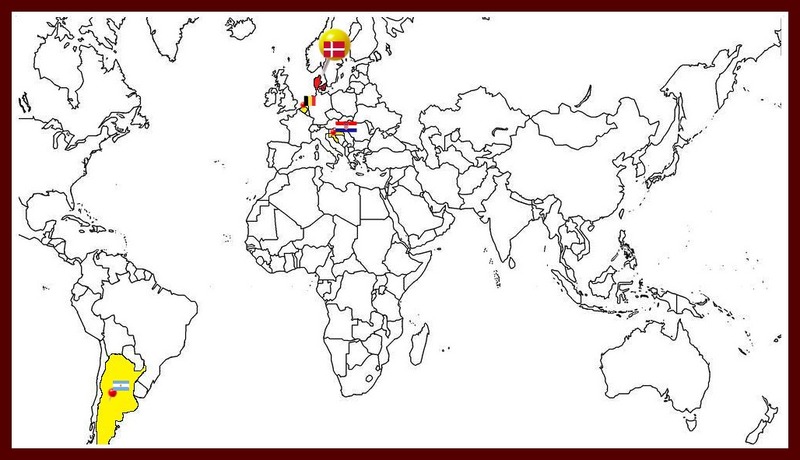 Today we visit Belgium for a look at comic creators from around the world. One you will know but not even realize it. But you’ll have to wait for that one. Belgium has a great history in what I will call the graphic art of storytelling. Their history begins in the 1920s with youth publications and church newspapers. They share greatly with the French and French creators through one of their two languages. Born in Belgium Charlier was a writer who later died in France. 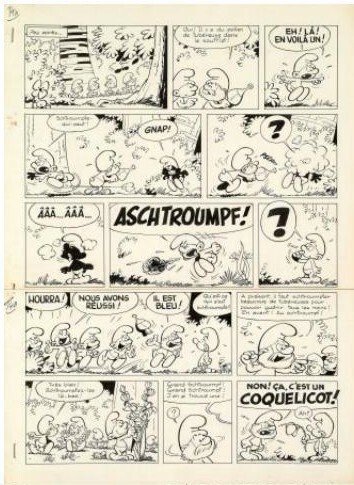 During his lifetime he created one of the most dominant comic series of the 1960s throughout Europe. 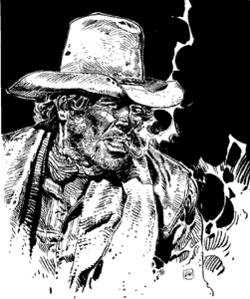 Along with French artist Jea n “Moebius” Giraud, he created Blueberry (1965-1990), a western comic set in the American West with an atypical cowboy hero. He wasn’t a lawman or out to get the girl. He happened to be in a place at a time and did what needed done. “When I was traveling throughout the West, I was accompanied by a fellow journalist who was just in love with blueberry jam, so much in love, in fact, that I had nicknamed him “Blueberry”. When I began to create the new series, and everything started to fall into place, I decided to reuse my friend’s nickname, because I liked it and thought it was funny. […] I had no idea that he would prove so popular that he would eventually take over the entire series, and later we would be stuck with that silly name!“~Charlier. He had been sent to Edward Air Force Base on assignment. Charlier was the writer of Buck Danny (1948-1988), Redbeard (1961-1991) as well as many others. 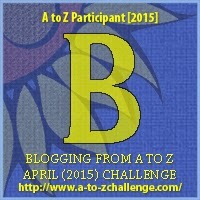 What I find interesting is the Belgian method of a series. Apparently it is tradition the writer and artist team continues until one either passes of the series is over. If one passes the series ends. Fortunately, Charlier had chosen successors for his works. There is a quality of these books that I am highly impressed with and has my fingers itching to write comic book scripts again. 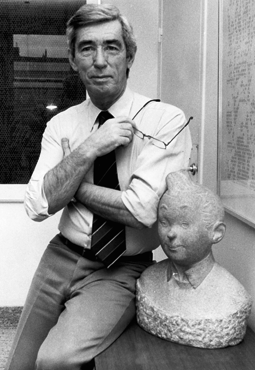 Hergé was born in 1907 and passed away in 1983 in Belgium. 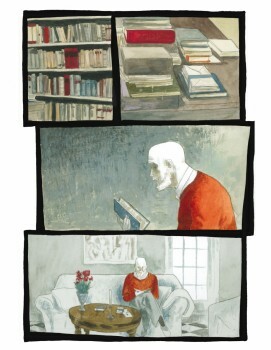 He is seen as the pioneer of a style of drawing in comics called ligne claire or clear line. Although an artist he was also a writer. His art worked with his writing to create the stories he told. 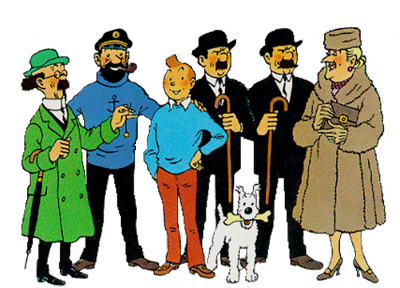 His most famous work is The Adventures of TinTin. Although a much loved and popular series of the 20th Century it did have its detractors for its racial stereotyping. “I was fed the prejudices of the bourgeois society that surrounded me.” Some of his early work had to be altered depending on the market it was to be distributed in. The series has been on radio, TV, and movies. The art style, ligne claire has influenced many. Think of a Batman comic with simply lines and paint rather than shadows on the face created by what is called cross hatching. 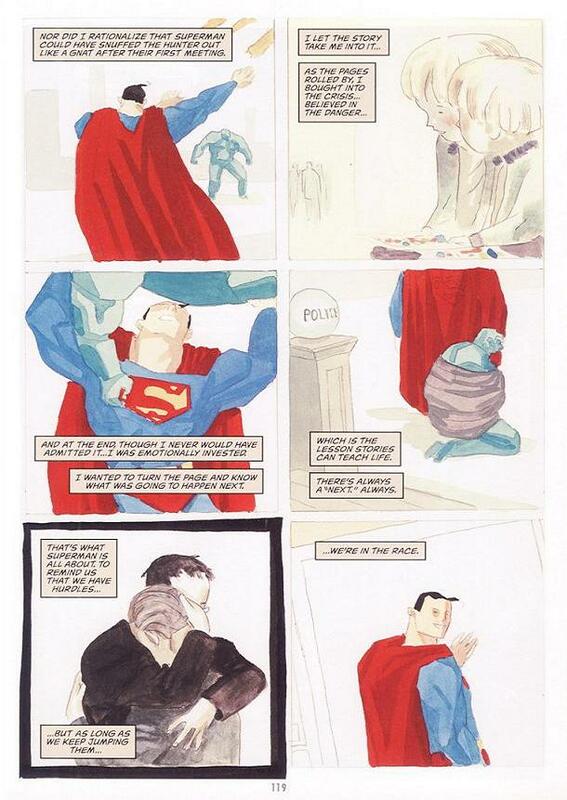 One particular standout to me is Geof Darrow who has worked with a previously mentioned creator, Frank Miller. One collaboration, Hard Boiled won the Eisner Award for Best Writer/Artist in 1991. But how does Hergé connect to something you might know today? After his work on Hard Boiled a team know as the Wachowskis asked him to do some concept work for a movie called The Matrix. Darrow receives screen credit in each movie. It is impossible to do a comic piece on Belgium and not mention this next man. Pierre Culliford was born in 1928 in Brussels and passed away in 1992 in Brussels. Belgian from beginning to end. Why Peyo? A cousin mispronounced his name and I guess he liked it. He first worked for an animation studio but when it shut its doors he wasn’t accepted by another place that took his friends in. Thus began a career in print. While working for Le Soir, a newspaper, he created Johan. 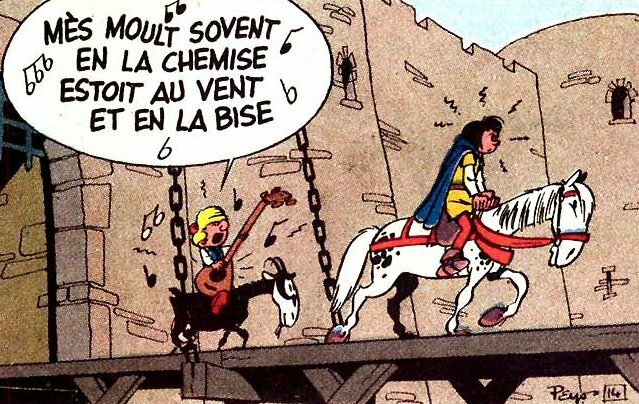 Later when hired for Spirou published by the same company, Dupuis, that had refused to hire him before, he continued Johan as Johan and Peewit. This was in 1952. In 1958 a creation came about in Johan and Peewit that would become cultural phenomenon in the future. The first Smurf was introduced. The Smurfs became so popular Peyo started his own studio. The rest is history. I am certain some of you have seen the Smurf cartoons, and the Smurf movies. And all because a young man wasn’t hired by a company as an animator when the doors shut on his previous employers studio. Click the A for Argentina. Click the C for Croatia.